Consumer Identity and Access Management (CIAM) has emerged in the last few years to meet evolving business needs. As businesses strive to deliver more engaging digital experiences, they’re collecting, storing, and analyzing growing volumes of customer data in order to create new sales opportunities and increase brand loyalty. 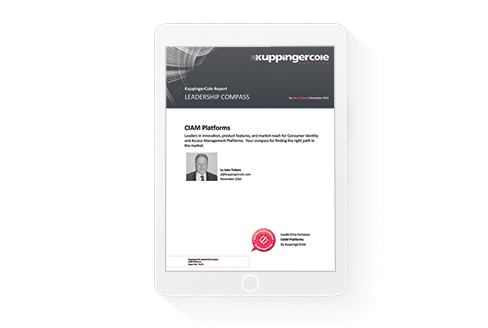 Download this new report from KuppingerCole, a global research firm specializing in security and data protection, for a comprehensive review of CIAM platforms — and discover why Salesforce is recognized as a Market and Product Leader in Consumer Identity and Access Management (CIAM).